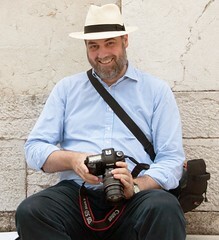 I've been having trouble with my computer, which particularly impeded my photographs. So I have a bit of a backlog. 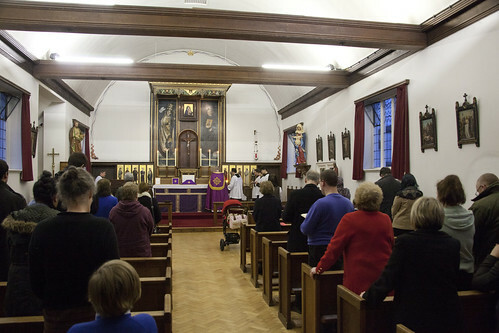 Here are some photographs of the Sung Mass we had for Ash Wednesday. 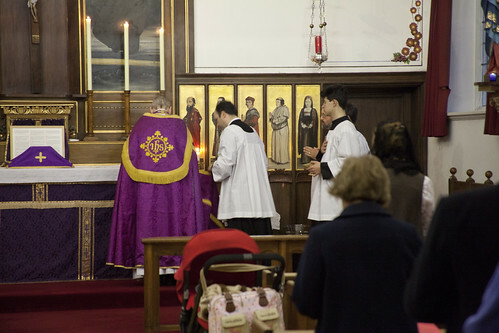 It was extremely well attended, in the church of SS Gregory and Augustine in Oxford. 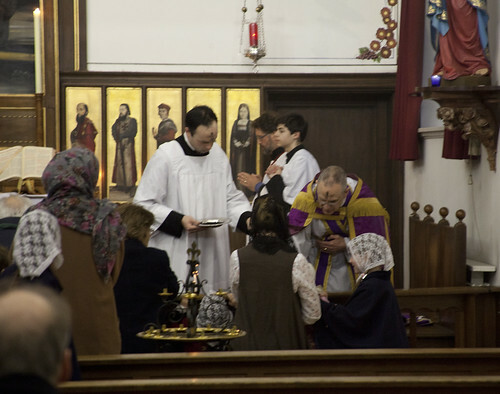 It was celebrated by Fr John Saward and accompanied by the Schola Abelis. The photos are unusual (for me) since I (with the whole schola) was in the nave, not in the choir loft. This is a boring photograph. You can't see the priest blessing the ashes. Actually, that make it rather interesting: this is how it has always been. 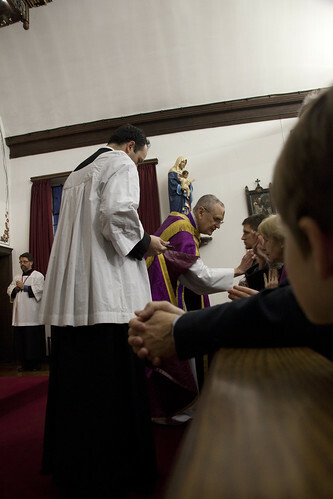 We don't need to see it: it is between the priest and God. It is an example of the emphasis on 'ritual efficacy' in the EF: the words make an objective difference to the ashes, the effect on the congregation is secondary. Being able to see the blessing of the palms on Palm Sunday is an innovation of 1955.